Mobile attribution analytics company Kochava has announced the release of its updated platform for mobile advertisers, which aims to help them understand the real value (and lifetime value) of the users their mobile campaigns are reaching. Version 2.0 of the platform integrates with over 300 mobile ad networks, publishers and exchanges, including Facebook, Google, Twitter, Yahoo and Pandora. Kochava provides a single, real-time performance view for advertisers across all of their media buys. Kochava tracks users and campaigns based on a variety of factors, from device, platform and app versions to number of sessions, country and more. The company offers both SDK and SDK-less solutions, and works to add new publishers to the platform on a daily basis. The company also prides itself on consumer privacy. “Kochava takes the position that your data is your data. Unlike other analytics vendors who are also ad networks, Kochava customers can be assured that their data isn’t being used for re-targeting,” Manning adds. 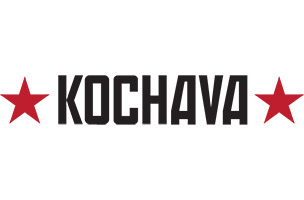 Kochava says new advertisers can be up to speed and running in the Kochava platform in less than a day. More information on its updated platform is available on the company’s website.